If you continue to browse and use this website, you are agreeing to comply with and be bound by the following terms and conditions of use. These terms and conditions govern your relationship with Manutuke Herbs in relation to this website. If you disagree with any part of these terms and conditions, please do not use our website. The term ‘Manutuke Herbs’ or ‘us’ or ‘we’ refers to the owner of the website. The term ‘you’ refers to the user or visitor of our website. Neither we nor any third parties provide any warranty or guarantee as to the accuracy, timeliness, performance, completeness or suitability of the information or materials on this website for any particular purpose. You acknowledge that such information may contain inaccuracies or errors and we expressly exclude liability for any such inaccuracies or errors to the fullest extent permitted by law. Your use of any information or material on this website is entirely at your own risk, for which we shall not be liable. 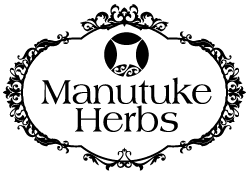 All products, product names, logos, images, text used on the website are the trademarks, trade names, copyright or other property of Manutuke Herbs. Nothing within the website shall be construed, by implication or otherwise, as giving any right or licence to others to use the intellectual property of Manutuke Herbs, unless specifically consented to in writing by Manutuke Herbs. All trade marks reproduced in this website which are not the property of, or licensed to, the owner are acknowledged on the website. By using our website, by placing an order or sending us a website enquiry, you consent to us communicating with you by phone, address, email or other agreed upon communication tools, unless indicated otherwise by you in writing.